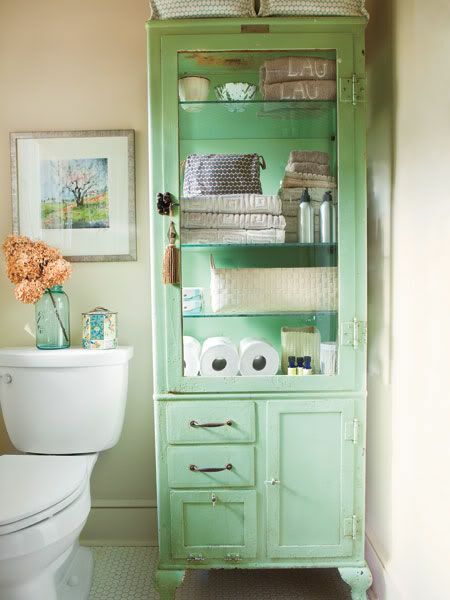 Need Ideas for Storing your Spring and Summer Linens? What do you get when you cross the HGTV/DIY craze and an internet connection? An amazing community of home dwellers, who love to share ideas on how to enhance the function and aesthetic of their surroundings. Now that spring is here, and summer is eminent, you may feel the need for creative storage ideas for your new spring and summer Belgian linen collection. Here are some of our favorite ideas for storing your linens in a way that is classy, organized, and downright stylish. Now you see 'em, now you don't. If you're fortunate enough to have a built-in storage closet or cabinet, using boxes and designated linen containers is an excellent way to keep your linens folded neatly and organized by season and/or holiday. In order to prevent the accumulation of dust and lint, swap traditional shelves for coated, stainless steel organizers. Belgian linens on display. 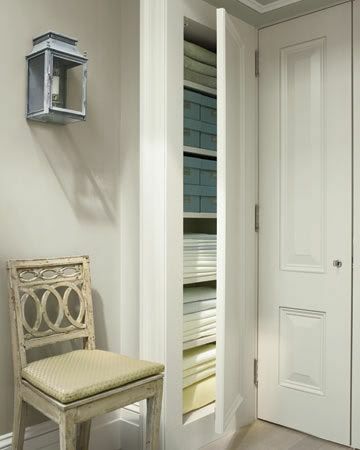 The problem with linen closets that have closing doors is they tend to wind up becoming a disorganized catch-all. 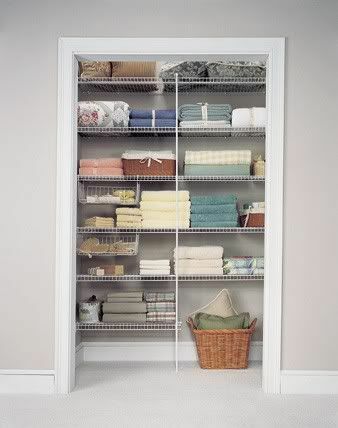 Open shelving, or linen cabinets with glass doors, can be a wonderful way to force yourself into artistic organization. 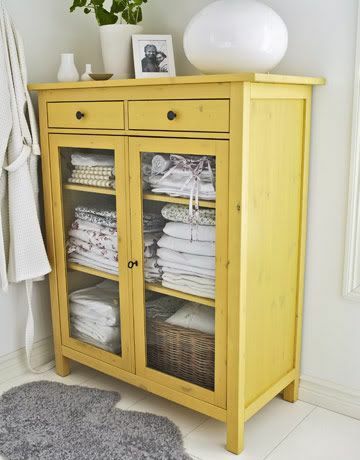 We love the way this bright, sunshine yellow cabinet forms a contrast with the neutral linens housed inside. Big storage for small spaces. This glamorous, mirrored Armoire is a smart solution for gaining big storage in a small space. The mirrored panels add depth to the room. Now that your storage dilemmas are solved, shop Linens by Didriks for new, luxurious spring and summer additions.